Home » Denmark Immigration » How to get Denmark Schengen Visa? This entry was posted in Denmark Immigration and tagged Denmark Immigration Denmark Schengen Visa Denmark Tourist Visa Schengen Visa on July 14, 2014 by Blog Author. Planning a trip to Denmark? Depending on your nationality you should obtain a Visa to visit Denmark. The individuals who wish to visit Denmark for a short period must acquire Denmark Schengen Visa to visit the country either for business, tourism or personal visits. The non-citizens of a Nordic or EU/EAA countries must require a visa to travel to Denmark. The holders of Denmark Schengen Visa can stay for a maximum period of three months. It allows you to travel between various countries such as Austria, Finland, Greece, France, Denmark, the Czech Republic, Belgium, Italy, Lithuania, Liechtenstein, Norway, Poland, Hungary, Germany, Iceland, Malta, Estonia, Luxembourg, Portugal, Sweden, Slovakia, Latvia, Slovenia, Switzerland, Spain and the Netherlands. 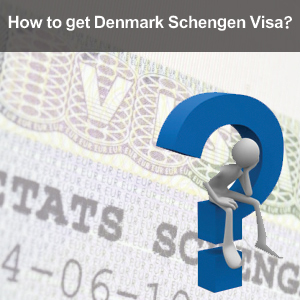 The applicants of Denmark Schengen Visa must satisfy certain requirements in order to a acquire visa successfully. A valid travel document, proof demonstrating occupation or student status, evidence stating purpose of visit, travel insurance, enough funds to meet their requirements and round trip ticket are some of the requirements of Denmark Schengen Visa. If you are planning to visit only one Schengen country, apply for a Denmark Schengen Visa at the Embassy of the respective country. In the case of visiting multiple Schengen countries, apply for a visa at Embassy of the country in which you wish to stay for a longer period. If you would like to visit multiple countries but do not have any main destination, apply for a visa at the Embassy of the Schengen country which will be your first-entry point. If you are visiting Schengen countries for the first time, a Denmark Schengen Visa is issued for one entry. Upon success submission of Denmark Schengen Visa application, the Embassy takes 15 working days to process the application. To know more please fill up Our Enquiry from, also follow us @ MoreVisas Facebook, Twitter, Google+.